ELIZABETH CITY, N.C – The 2016 Ram 1500 Rebel wins Pickup Truck of the Year by Four Wheeler magazine, a popular off-road enthusiast publication. For 28 years, trucks have been competing for this honorable title, and we’re happy to say that the Ram 1500 Rebel won it this year! The 2016 1500 Ram Rebel won Pickup Truck of the Year by Four Wheeler Magazine after a panel of seven judges tested each truck's performance, comfort, and design. The Ram 1500 Rebel has a one-of-a-kind off-road design compared to other trucks in the full-size truck segment. Plus with a design as bold at the Ram 1500 Rebel and engineering of Ram Trucks, you can’t top a pickup like this. The Ram 1500 Rebel rides with a factory life, 33-inch tires, standard air suspension, Blistein shocks, skid plates, tow hooks, and other off-road ready features. The truck isn’t for amateurs. Only the one who likes adventure can handle the Ram 1500 Rebel. 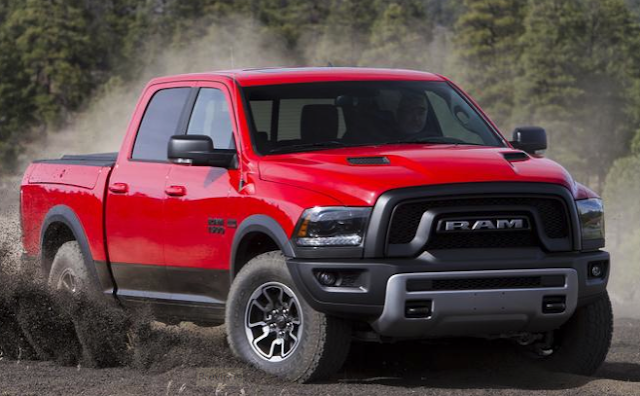 If you want a Ram, but don’t need the extra accessories, then take a look at the 2016 Ram 1500. This truck offers 29 mpg, has the latest and great technology, and by no means are you sacrificing capability. Come to Perry Auto Group today, and we can find the right truck for you. Whether it’s a work truck or a play truck, the Ram 1500 is the perfect one for you!